1) Strong , firm and stable design. 2) Userfriendly membrance controlpanel . 3) Top &bottom pneumatic&clamps to secure magazine rack. 4) No PCB break guaranty duringloading & unloading . 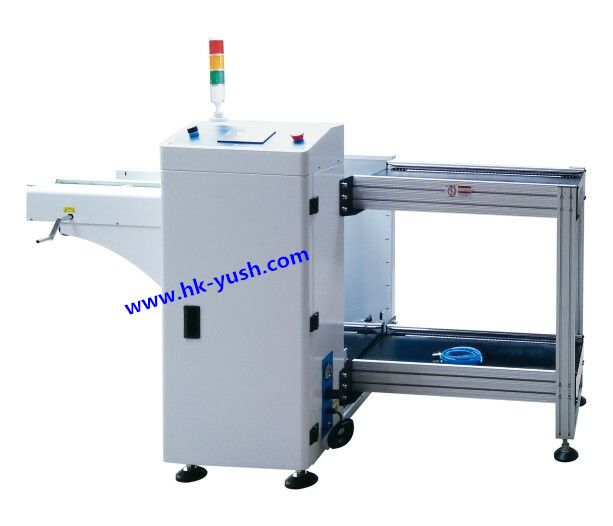 This unit is used for unloading of PCBS . Upper conveyor ,1 magazine / Lower conveyor , magazine.